Over the past year, I have posted several times regarding proper filter choices, the virtues of not using cheap filters and what kind of mileage you should get when using a quality cartridge filter such as a Puritan. 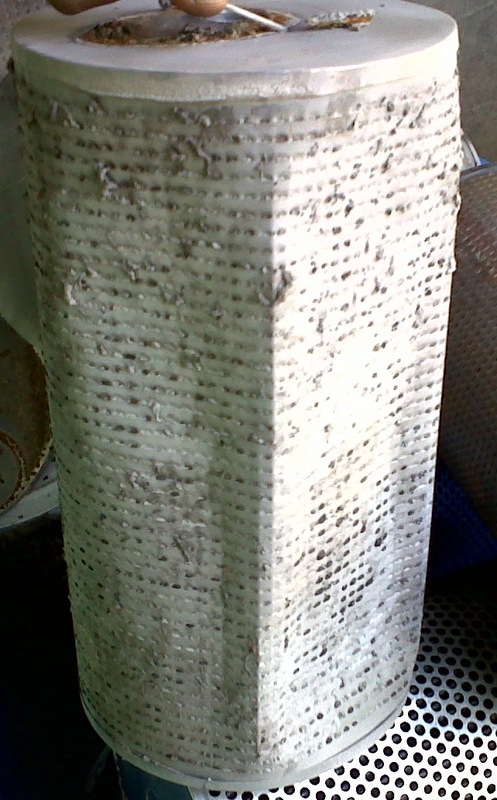 Today, I ran into another example of what can happen when your All Carbon cartridge is cheaply made or left in the machine long past the useful life of the filter. 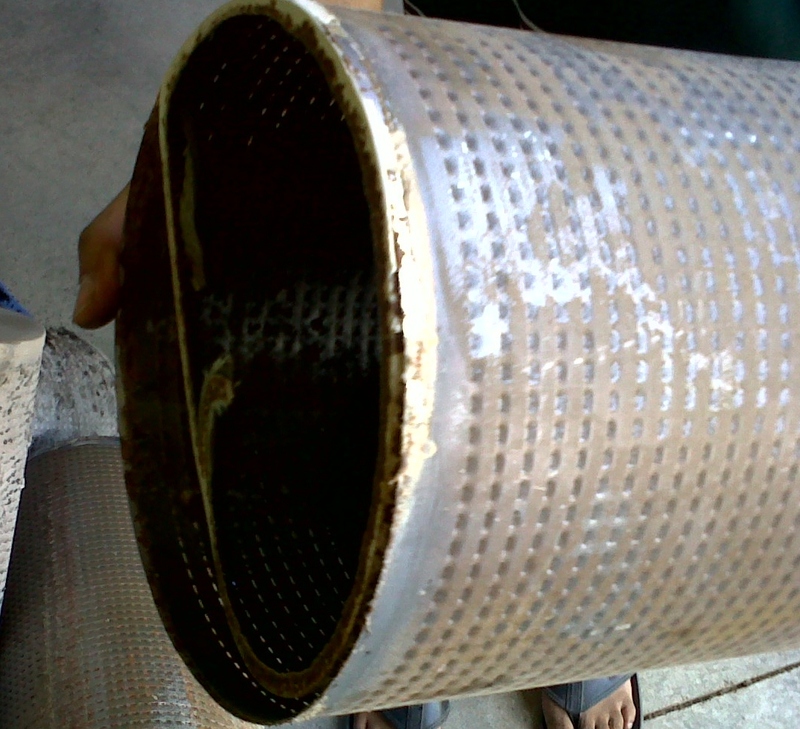 If your All Carbon filters are looking collapsed, such as the one in the picture above, you will probably want to change them more frequently (click on the links above for more information). 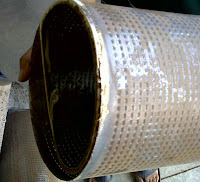 Or if your filter comes apart, (like those that are using a poor quality glue/sealant to seal the tops on the filter) when you are trying to remove it from the machine (spilling carbon all over the person changing them, the floor and inside the filter housing on the machine), you might want to purchase a better quality cartridge filter. Or if you begin to see granular carbon in the button trap of your dry cleaning machine, you may find you need a better quality filter and change them at the proper interval. And that is about all I have to say about that. thanks for sharing really great blog. © Copyright 2010-2013 The Dry Cleaners Blog All Rights Reserved. Template Design by Herdiansyah Hamzah | Published by Borneo Templates | and Theme4all | Powered by Blogger.com.